From the east side of Manhattan M1, 2, 3, 4, or 5 to 53rd Street From the west side of Manhattan M50 cross-town to 50th Street. Proceed to 53rd Street. MoMA presents a full retrospective of Bodys Isek Kingelez, the Congolese sculptor who worked with paper, commercial packaging, and materials from everyday life to create what he called “extreme maquettes” that encompass civic buildings, public monuments, and private pavilions. Bodys Isek Kingelez spans the artist’s career over a 25-year period, ranging from early works that were included in the landmark 1989 exhibition Magiciens de la terre at the Centre Pompidou to his streamlined, dramatic forms of the 2000s. 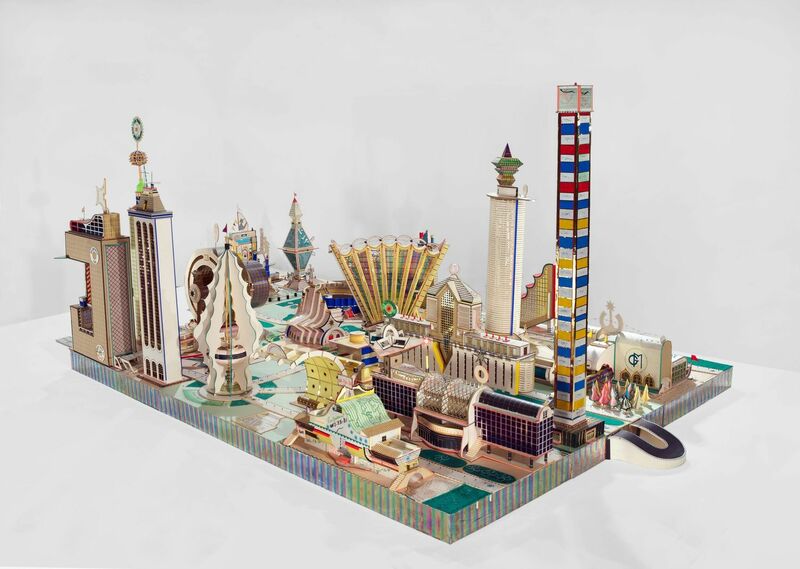 The first retrospective of Kingelez’s work, and the first substantial monographic presentation of his work in the US, this exhibition features works from each of the key periods of his career, from early single-building sculptures, to spectacular sprawling cities, to futuristic late works, which incorporate increasingly unorthodox materials. Kingelez was previously featured in the MoMA exhibition Projects 59: Architecture as Metaphor (1997). Although his work has long been featured in major international exhibitions, this will the first opportunity in New York to explore the full breadth of his career. The exhibition unfolds as a chronological display with a thematic approach, bringing together works made during the artist’s first trip to Paris in 1989, civic structures and fantastic takes on geographically specific architectural tropes. The installation captures his transition from single buildings to entire metropolises, culminating in a selection of Kingelez's large-scale cities, marked by soaring forms that characterize much of his late production. The exhibition brings together rarely seen works from both public and private collections. Special thanks to the artist Carsten Höller (German, born 1961), who is developing a visitor experience project in parallel with the exhibition.